Serie A Week 15 is coming up and we are now entering a crucial part of the season. Our Serie A week 15 predictions are red hot and our guys have really put time into the details. Huge match-ups this weekend at the top with the Derby d’Italia and teams like Milan trying to cement their 4th place with a tough one against Torino. Definitely match of the week and also a candidate for match of the season. What is ahead of us is an eternal rivalry and a big match regardless of what year. What is different this year is that Inter are now relevant at the top. For the last 7 straight seasons, Juventus have gone into this match against Inter being the superior team (squad) but also in league position. This time, Inter come into this match as 3rd place and league title rivals. Juventus and Inter have played each other in this fixture 233 times. The bianconeri have won 105 of these encounters, with most wins coming on their home soil. This is their safehaven and their home record in general is almost laughable. The Neroazzurri are coming off a tough couple of weeks with only one win in the last 5 games throughout all competitions. Their only win was a convincing 3-0 at home to lowly Frosinone. The Sunday match against Roma saw them go ahead twice and on both occasions Roma managed to pull back a draw. Inter seem unsettled without Radja Naingolan in their midfield and Spalletti has tried to change too often. The Inter coach has got to nail this game, otherwise the mid-week CL game gets tougher from a mental standpoint. 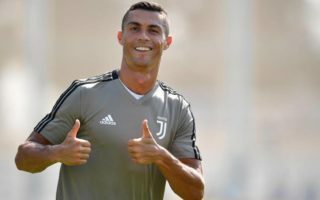 Juventus are expected to field their strongest 11 knowing that the CL qualification is already in the bag. Ronaldo will be keen to make a statement here and continue his impressive streak of scoring and assisting. This one will be a big game for him on the centre stage. 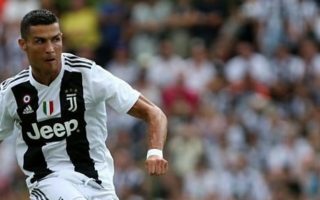 Allegri will most likely field a 4-3-3 with Szczesny, Alex Sandro, Chiellini, Bonucci, Cancelo, Matuidi, Bentancur, Pjanic, Ronaldo, Manduzkic and Dybala. 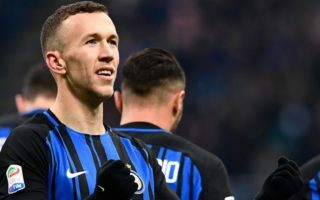 The away side will likely roll back to their 4-2-3-1 formation with Handanovic, D’Ambrosio, De Vrij, Skriniar, Asamoah, Naingolan, Brozovic, Keita, Joao Mario, Perisic and Icardi. A good away win for Carlo Ancelotti’s side against Atalanta last night. It was a tough fixture and Napoli managed to get away with 3 points and regain their 2nd place in the title race. They are now 8 points away from Juventus and head into this game knowing that it should be nothing less than 3 points and a convincing win in front of the home fans. Frosinone are not worthy of the Serie A and their results are proof of this. In the last 10 matches they managed 1 win and the rest were draw games or losses. Their away form is abysmal and on paper, they stand no chance of winning this game. The odds obviously reflect this. Napoli will most likely rest some players ahead of a crucial Champions league fixture against Liverpool on Tuesday. The value in the odds in this game will all be on the Asian handicap and our recommendation is to wait for lineups prior to placing this bet. If Ancelotti decides to rest 3-4 players, then the Asian handicap for -1.5 will be close to evens and that is worth taking. The Partenopei are still much stronger than the visitors even with 3 starters out. At the San Paolo, Napoli are scoring an average of 2.7 goals per game and are due a high scoring encounter to please their fans prior to their CL flight. The Frosinone team that impressed the most was against Spal, unlikely we will ever see that one again. The Sardegna Arena hosts an interesting game on Saturday at 6pm between Cagliari and AS Roma. The away side are coming off a comeback draw to Inter at home and have been hit by injury ordeals for the last month. Di Francesco rarely gets to select his best squad due to continuous health issues. This has punished him in the media and has put him under increasing pressure in the Capital city. Cagliari were forced to 10 men in their away draw to Frosinone last weekend and are known to handle their disappointing results with a good comeback performance. The home side love to play home games but are historically not very good against Roma in this stadium. Their last win at home here whilst hosting Roma was way back in 2012. The injury list for Roma is worrying with the likes of Dzeko, El Sharaawy and De Rossi out. Patrick Schick does not have the same scoring ability as Edin Dzeko and therefore Di Francesco must put lots of help on the wings in Cengiz Under and Justin Kluivert who are both able to score from the midfield. The Sardi are not a bad squad and currently lie in 13th spot only 4 points away from Roma. A win would push them up a few places and give them the confidence they need to retain a Serie A spot next season. For Roma, this is one of their last chances to retain the top 4 momentum. Milan have been extremely good at retaining their top 4 spot and this is partly due to Roma’s inability to close off games and keep crucial points coming. The Giallorossi will need to get the 3 points here and it is crucial for the remainder of the season to secure these points. An interesting game at the Olimpico di Roma here on the Saturday night game. Lazio really struggled at times against lowly Chievo and only managed a comeback 1-1 draw. On the other hand Sampdoria absolutely asphalted Bologna in a 4-1 overpowering performance. The Biancocelesti have to get their act in order if they are going to continue their run for 4th place. They currently sit in 5th place behind Ac Milan on 24 points. Not the worst run, however they are inconsistent. Inzaghi’s men should have won the match against Chievo and they know it. This match is typically a Lazio favourite. Extremely high scoring encounters with fast and free flowing football. The home side have only lost one encounter in the last 20 games head to head here. With a few draws in between, Lazio have been clear favourites to win each game here. This encounter has produced a whopping 4.2 goals per game in the last 5 matches. Pulling out the absurd 7-3 scoreline from two seasons ago the goals per game is still on the high side at 3.1 goals per game. The Rossoblu are not a good away side and this will be a factor. Typically after a great performance at home, Samp struggle to have the same motivation when visiting a tough away fixture. Their defensive ability also lets them down and Immobile will most likely be feasting on Sunday. Lazio to win and over 2.5 goals. Gattuso’s boys are having a great time and Milan are on the right track to get back that exciting feeling. The Champions League spot is the only thing they care about this season and rightly so. At the weekend they beat a good Parma side with a nice comeback 2-1 win. Good for the mind and good for the standings. Without their prized striker Gonzalo Higuain, Milan were still able to get upfront and bag the goals and this is a great sign of things to come. They have been recently criticized for being too Higuain dependent but this was quite unfair. Mazzarri was welcomed back to the bench this weekend and Torino managed a good 2-1 win against a feisty Genoa side. Ansaldi and Bellotti getting it done at the end of the first half in a 3 minute blitz. This week, The Granata travel east to Milan to face Top 4 contenders. This will be a tough match so they need their best game here. Typically, Torino have not been good when playing away from The Olimpico and on the opposite end, Milan are figuring out that their best is in front of an excited San Siro crowd. The last 5 encounters between these two in Milano have resulted in 4 Milan wins and 1 goalless draw. Torino go into this one as underdogs but they should not be underestimated. Bellotti seems to be getting his stroke back and will most likely make a mark here.